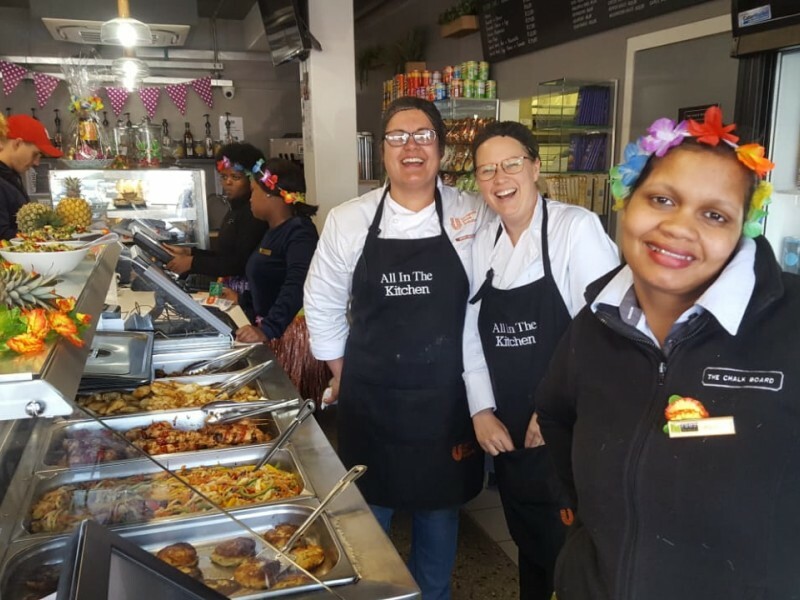 We appreciate every opportunity to engage our staff in meaningful, experiential training and development. 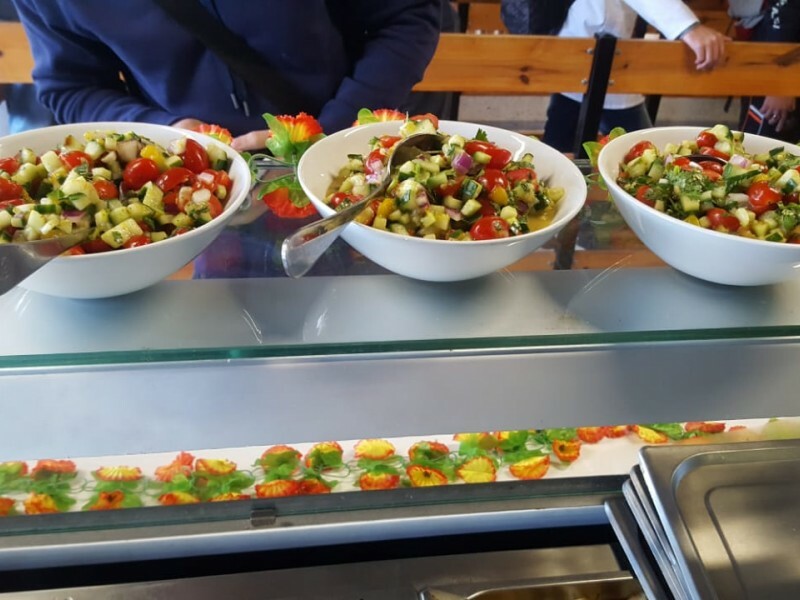 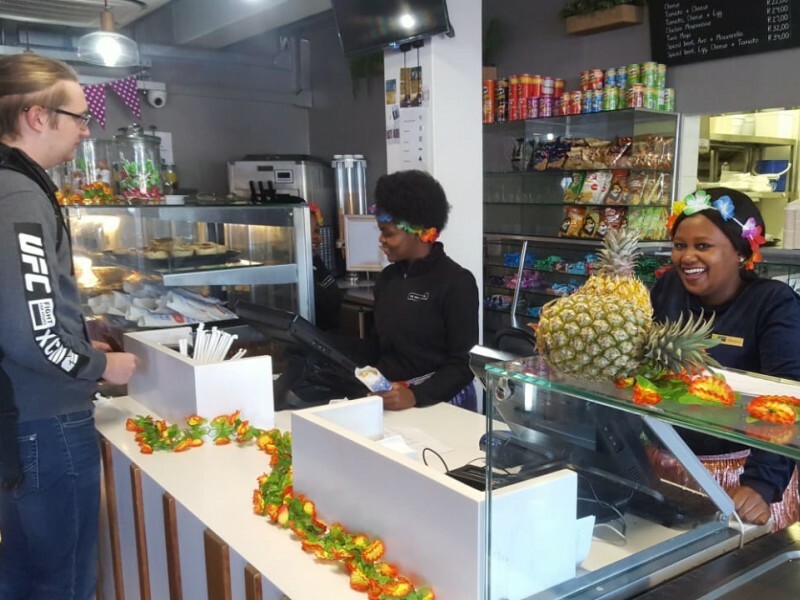 On Thursday 20 September, Unilever hosted a ‘Hawaiian Cook-Off’ at our Chalkboard Café on the Stellenbosch University campus where new menus were introduced to the C3 staff supported by recipe and product related training. 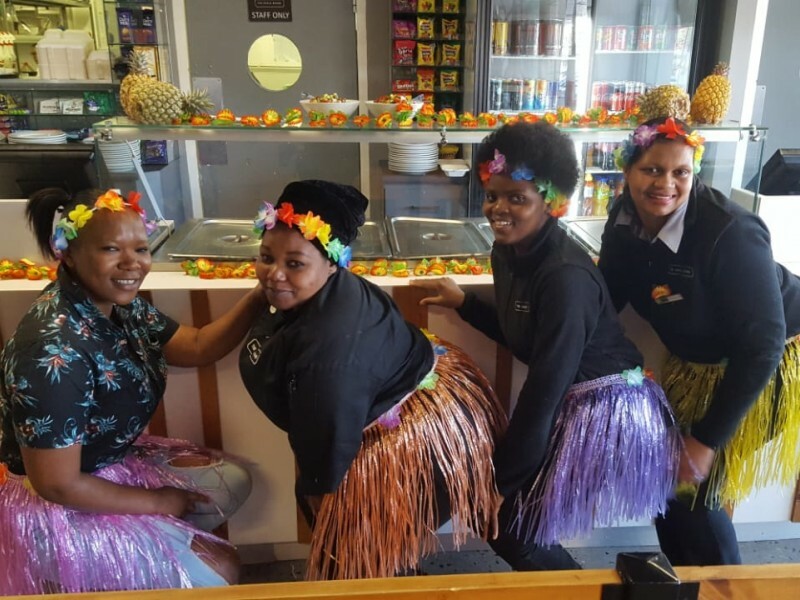 A fun day was had by staff and students alike as front of house staff dressed up for the occasion, including seeing our cashier regaling students with her take on a traditional Hawaiian dance. 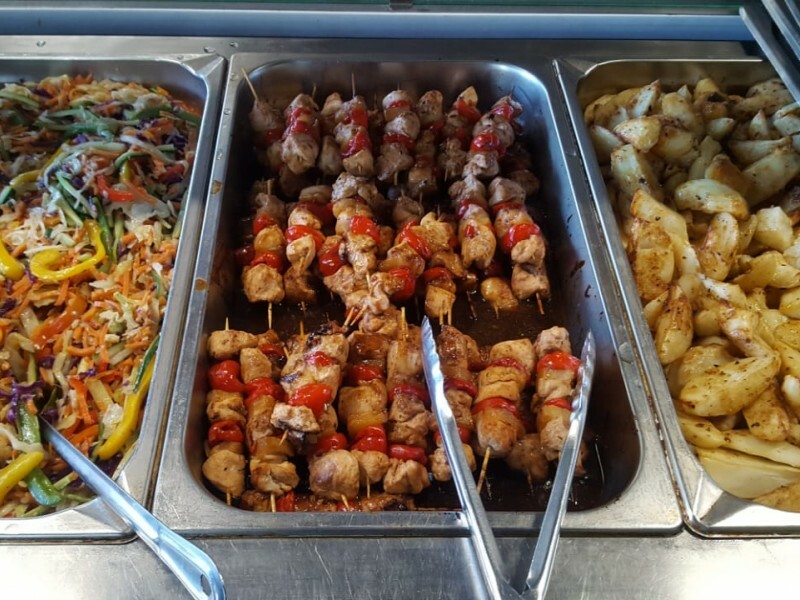 The flavourful Hawaiian-themed menu presented included: chicken and pineapple kebabs, beef and peppadew kebabs, homemade fish cakes with mango and cucumber salsa, Cajun potato wedges and stir fried veg. 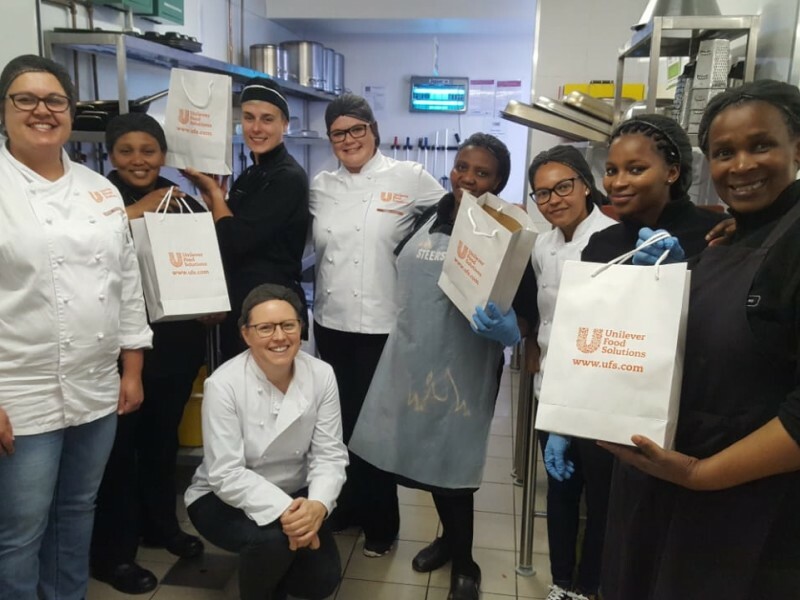 Warm thanks to Unilever together with our ever enthusiastic students!